It’s the last week in the semester ladies!! Especially know that we’re all here for you too! Whether you need help studying or finishing a project, or just someone to go for coffee with, we’re all here. We’re all taking a break tonight! So, join us to eat some delicious food, enjoy each others company and say goodbye to our graduating senior, Kodi Padilla. We’re meeting at St. Al’s church for a potluck at 6pm. Hope to see you all there! 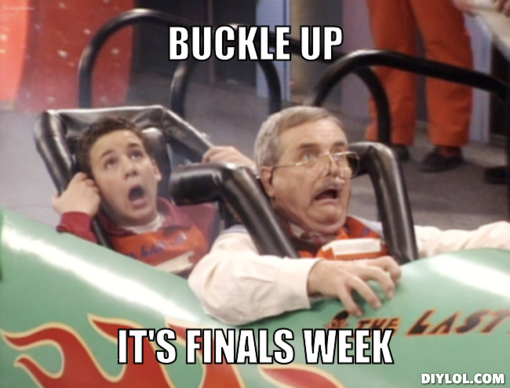 Have a great rest of the semester!